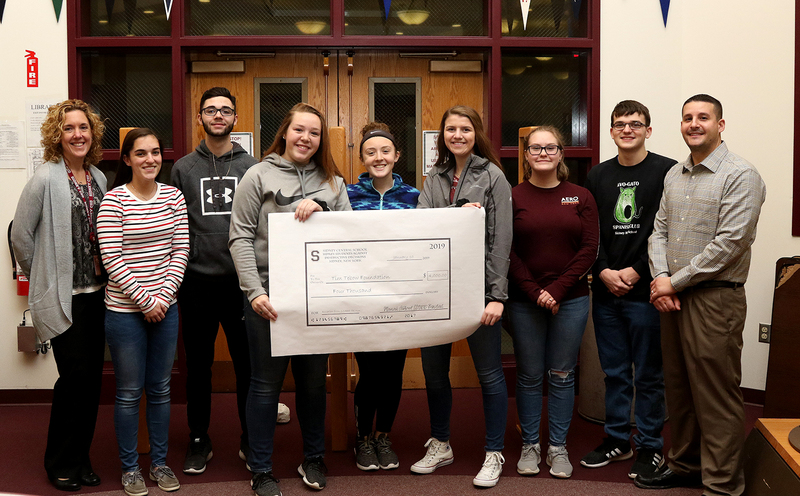 Recently, Sidney Students Against Destructive Decisions donated $4,000 to the Tim Tebow Foundation. The money was raised during the second annual SSADD 5K this past fall. Pictured, from left, are: Assistant Superintendent of Curriculum and Instruction and Special Programs Kerrie Johnston, Sarah Bessett, Glenn Rogers, Jordyn Lang, Bryleigh Beauchat, Mariah Gifford, Meghan Greco, Collin Searles, and club advisor Jon Yurka.